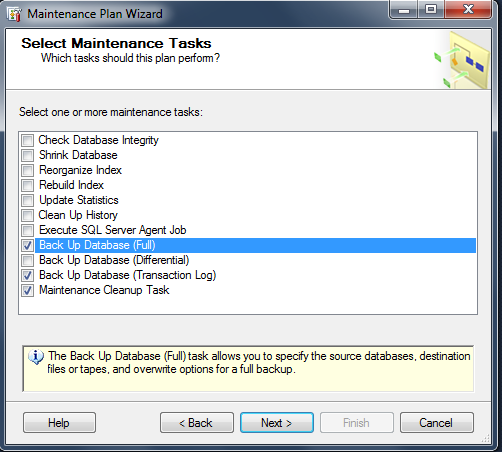 You can create a database maintenance plan to automate the SQL Server database backups. 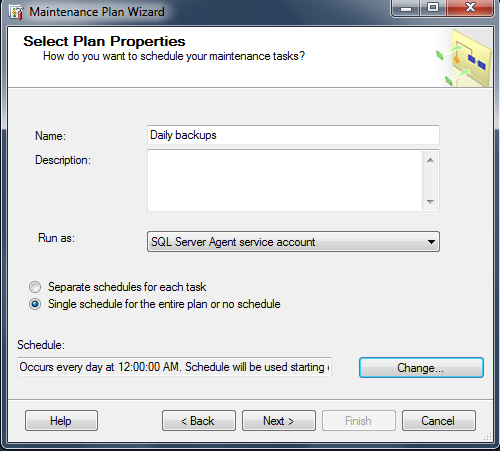 SQL Server backup maintenance plan can be scheduled to backup the databases automatically or executed manually. 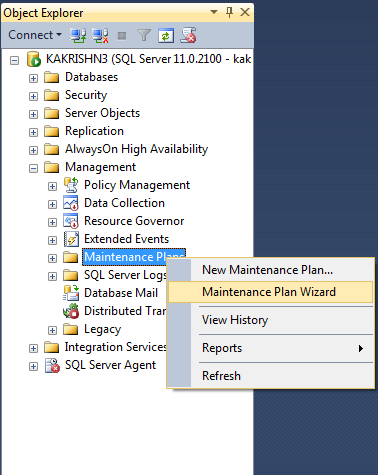 1.Open SQL Server Management Studio, expand the Management node, and then expand the Management Plans node. 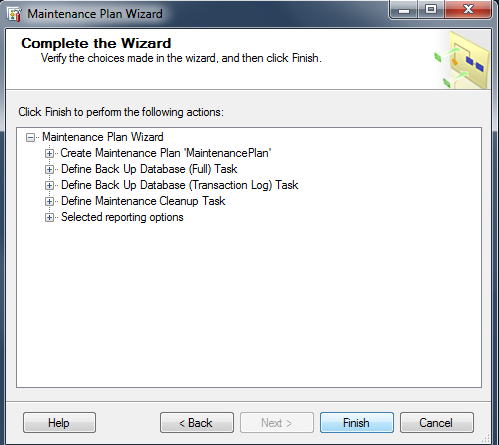 2.Right-click Maintenance Plans, click Maintenance Plan Wizard. 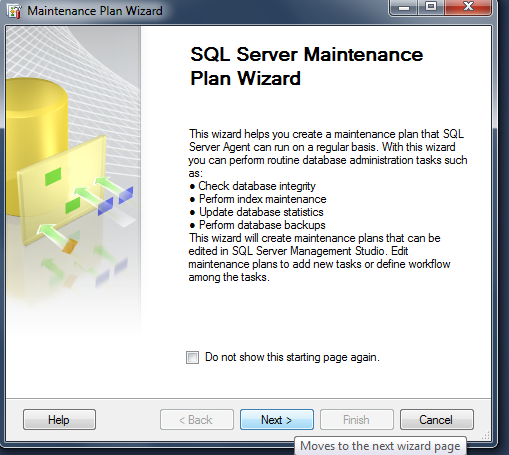 3.SQL Server Maintenance Plan Wizard window will appear.click next. 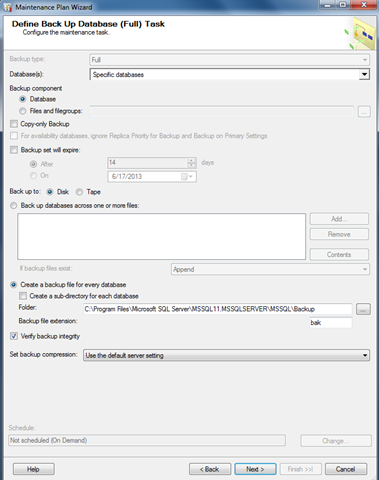 4.Then type a name for this database backup plan. 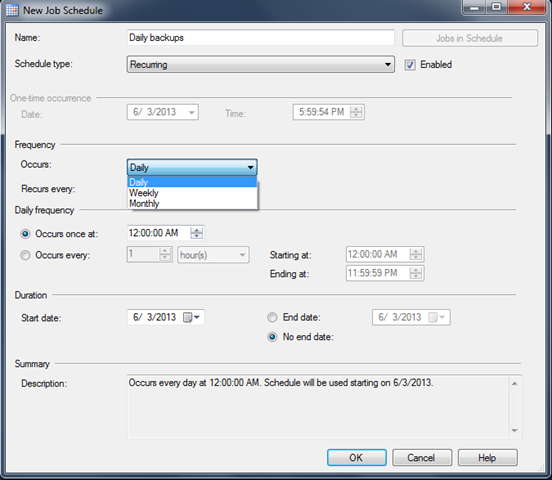 Select schedule according to your need.Generally daily,weekly,monthly or hourly. 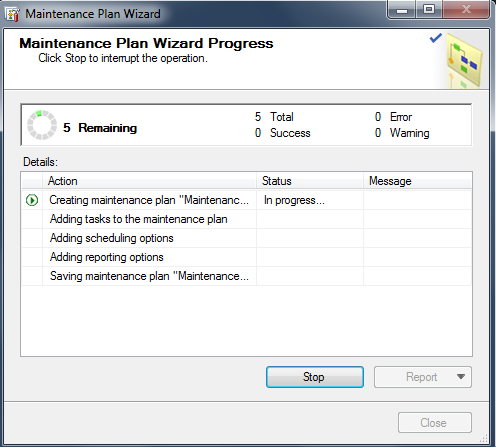 5.Select the maintenance tasks,which you wanted to plan. 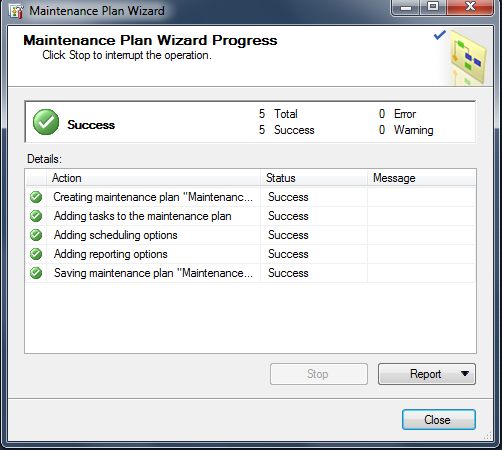 6.select the order of your plan.Click Next. 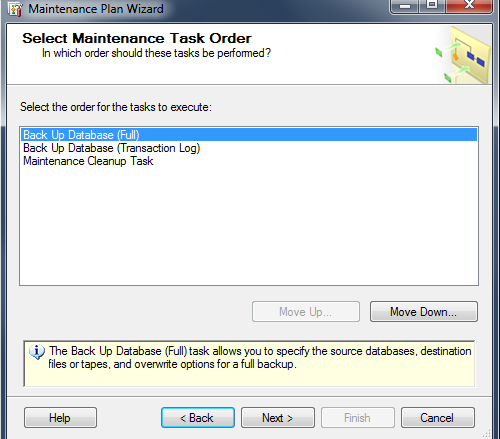 7.On the Define Back Up Database (Full) Task dialog box, specify information about the full backup. Specify database where this plan has to be applied.Press ok.Then Click Next. 8.On the Define Back Up Database (Transaction Log) Task dialog box, configure the transaction log backup. Click Next. 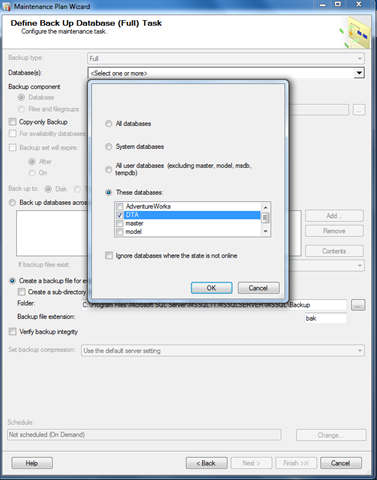 10.On the Define Maintenance Cleanup Task dialog box, configure the cleanup tasks.specify the folder name where you take backups.Then specify the backup folders extension.Click Next. 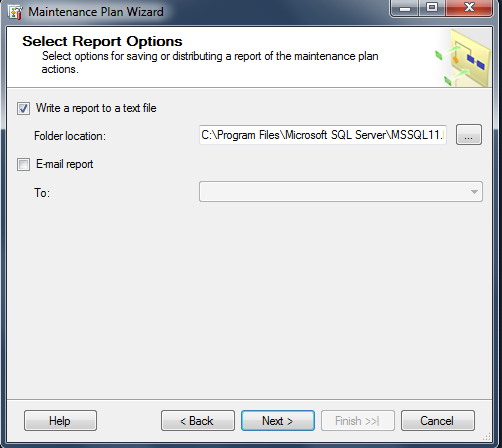 11.On the Select Report Options dialog box, select whether to write the report to text file or send the report through email. Click Next. You can use the below query to extract the context switches information from ring buffers and time each thread spend owning the scheduler. When there is corruption in database (or) When scanning the data with the NOLOCK locking hint (or) with the transaction isolation level set to READ UNCOMMITTED, it is possible for the page at the current position of the scan would have deleted or moved by page splits caused by Inserts/Updates/Deletes making SQL Server not able to scan further and cause Error 601 : Could not continue scan with NOLOCK due to data movement. Unless the database has been explicitly marked as ‘read only’ there is no way to guarantee that there are no data modification operations going on. 1. Check for 601 errors from the application and retry the query automatically if the error occurs. 2. Improve the indexes supporting the query or modify the query so that it has a smaller lock footprint and runs more quickly. If the query touches less data it will be less likely to encounter the problem. 3. Avoid use of NOLOCK hint and if necessary have a retry logic 601 error . Improving the indexes as mentioned above might make it possible to get this data without doing large scans that would be likely to cause blocking. Every SQL Server DBA would have faced situations similar to SQL Server not accepting connections for few minutes, SQL Server not responding for few minute or Applications not able to connect with SQL Server for few minutes. Before DBA’s gets alerted about the situation and starts troubleshooting the issue. Everything becomes normal. Challenge in this situations is it becomes very difficult to understand where the underlying problem was, It could be a network connectivity, Application server problem or It might be an issue with SQL Server itself. How do we collect diagnostic data to prove that SQL Server was stable at the time of issue (or) If the issue is with SQL Server then how to collect data we need for diagnosing the issue when there is issue? 4. If SQL Server is not accepting Connections then connect to SQL Server using DAC and take a stack dump. 2. 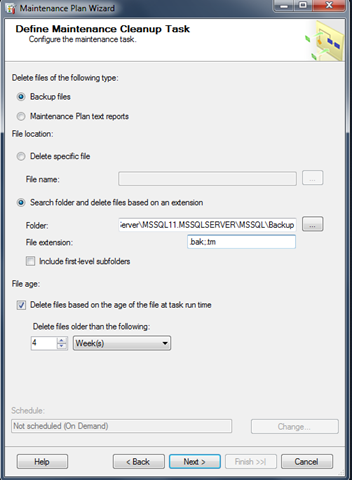 Create a Text file called serverlist.txt to fill all the SQLServer information in your account. 3. Invoke command prompt and open attached SQLmonitor.EXE. 1. Multi-threaded . Each server and service is verified using its own thread so retrieving information from one server will not affect the pooling interval to other server. Server Error: 17065, Severity: 16, State: 1. 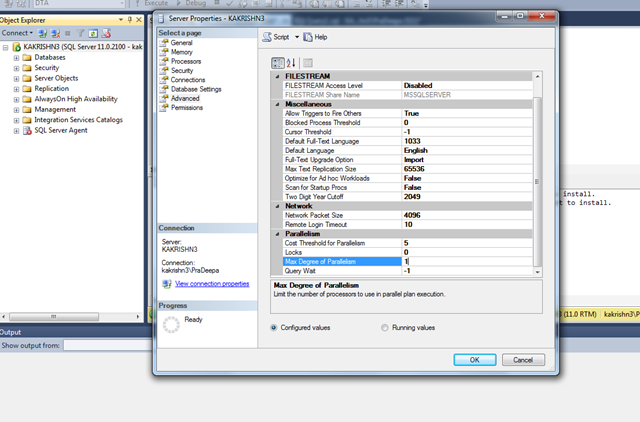 Server SQL Server Assertion: File: <purecall.cpp>, line = 51 Failed Assertion = ‘!”purecall”‘ Pure virtual function call. This error may be timing-related. If the error persists after rerunning the statement, use DBCC CHECKDB to check the database for structural integrity, or restart the server to ensure in-memory data structures are not corrupted. 1. Antivirus softwares which detours in sqlserver address space can inject their instruction in sqlserver modules and can cause this Ex. Sophos etc..
Run select * from sys.dm_os_loaded_modules and check if there are DLL’d loaded from Antivirus (Company column will have the AV company name). If you see any antivrus exclude SQLServer from them. Run lm command in the dump and see if there are any Antivirus DLL’s loaded in sqlserver process memory. 2. If you don’t see any Antivirus dll then run windows memory diagnostic tool and check if there are any memory problems on your system( %windir%\system32\MdSched.exe).